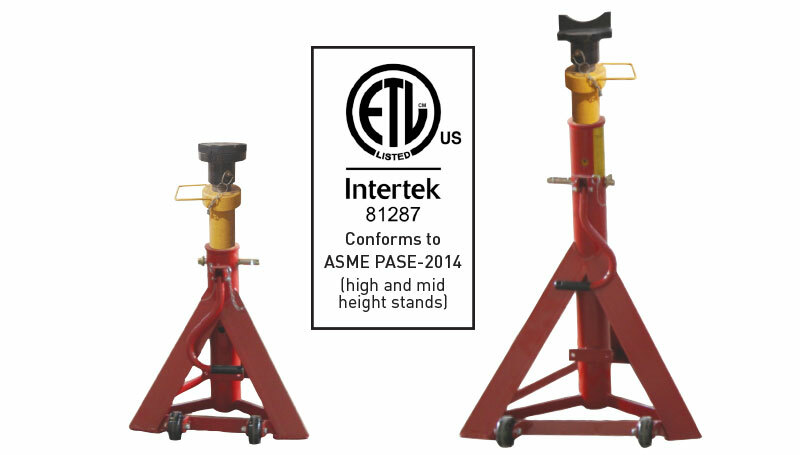 Mohawk Lifts has medium and full height Mobile Jacks Stands available, which have been ETL certified to pass ANSI/PALD standards. All Mohawk Lifts are designed and manufactured in the USA. 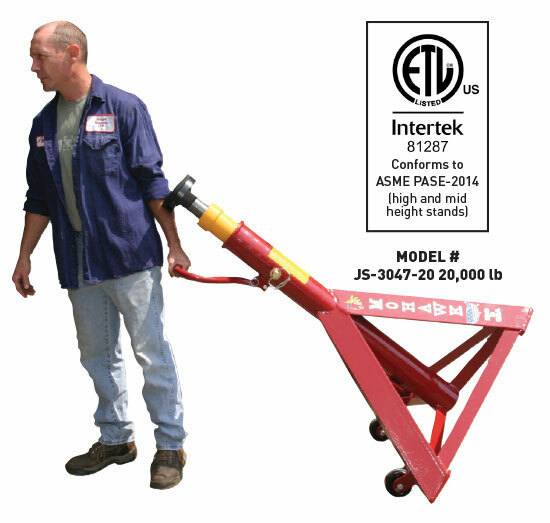 Mohawk’s mobile jack stands are equipped with a handle and large castors for easy movement. A set of stands allows columns to be moved to a different bay and raise another vehicle. Adjustable height stands are available in high (47-77”) and medium (30-47”) varieties. 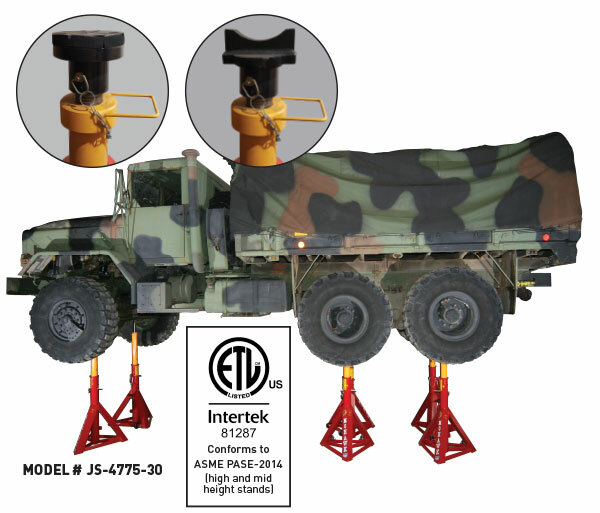 All Mohawk Jack Stands come in either 20,000, 30,000 or 40,000 lb capacities and are available with rubber topped flat pads or optional axle engaging yoke pads.